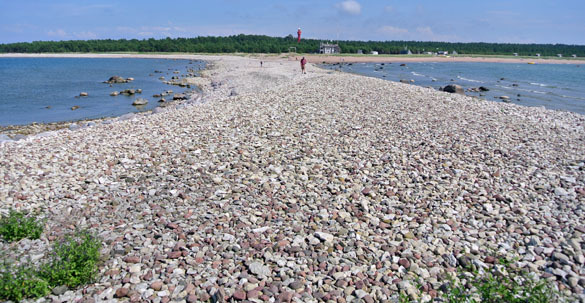 KÄINA, ESTONIA–The Wooster/OSU geology team took a break today from our usual field routine. We spent the morning consolidating notes and specimens (yes, that means the students slept very late) and then the afternoon seeing some of the major Hiiumaa sites. 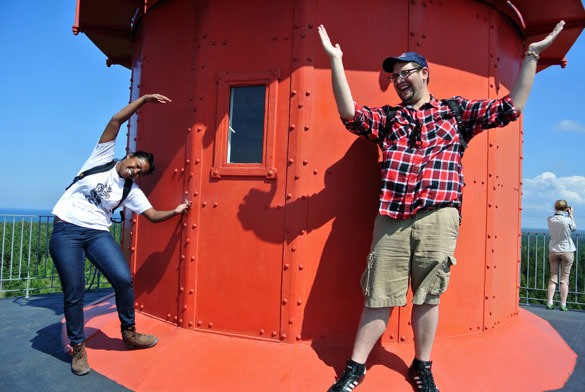 The highlight was visiting Hiiumaa’s iconic attraction, the Kõpu Lighthouse on the Ristna Cape. 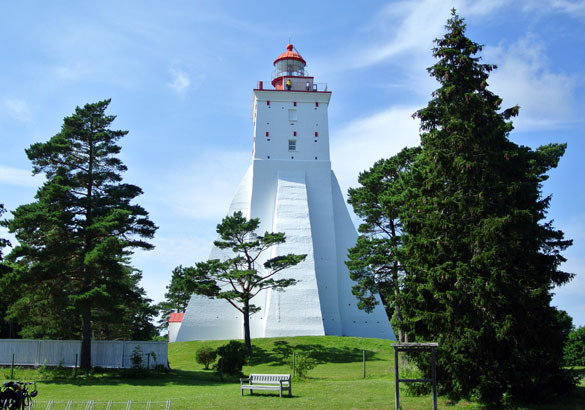 It is the oldest lighthouse in the Baltic states and reported to be the third oldest continuously-operated lighthouse in the world. It was completed in 1531 and has been working ever since. The Hanseatic League demanded a lighthouse here beside the most important trade route in the Baltic Sea. The original light was a fire that required 1000 cords of firewood every year, nearly deforesting the surrounding peninsula. The Germans bombed it in 1941, but only damaged its optical structures on top. It was an important navigational aid until 1997 when it was replaced by a modern radar system. 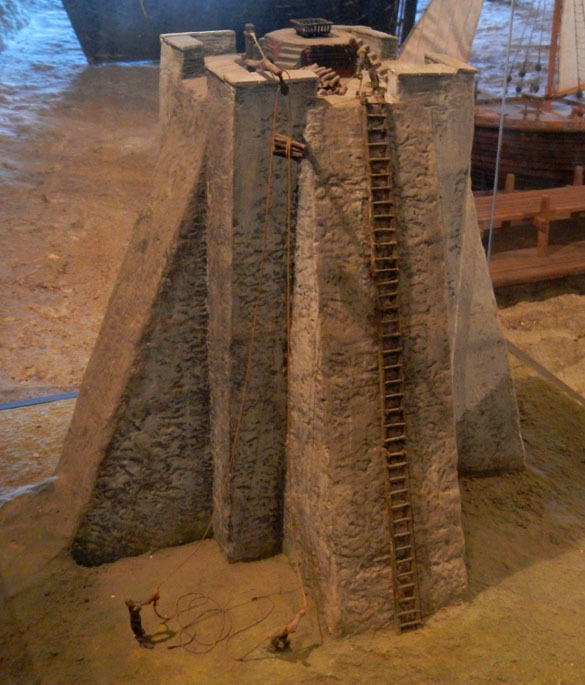 A model of the medieval version of the Kõpu lighthouse in the Tallinn Maritime Museum. Access to the top platform was by a long ladder. The light was a bonfire of pine wood. 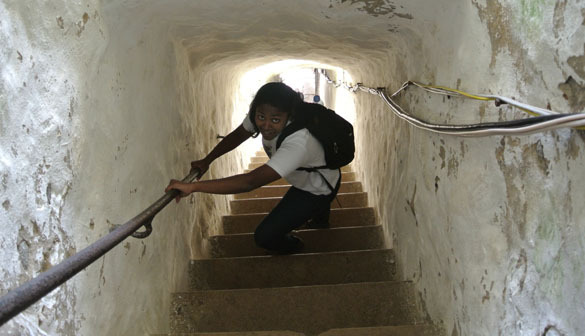 The lighthouse staircase is incredibly narrow and steep, being cut into the structure in the 19th century. (Prior to this there was a wooden staircase on the outside.) Richa is better built for such a place than me! Near the end of the afternoon we visited the Ristna Lighhouse and one of the westernmost points on the island. (This is where Alyssa found her famous trilobite.) 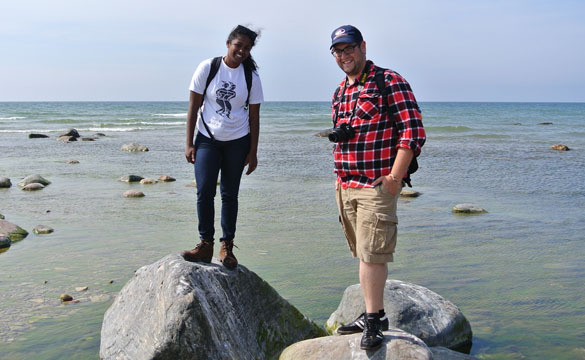 Richa and Jonah noted that large igneous boulders make excellent posing platforms at the edge of the sea. 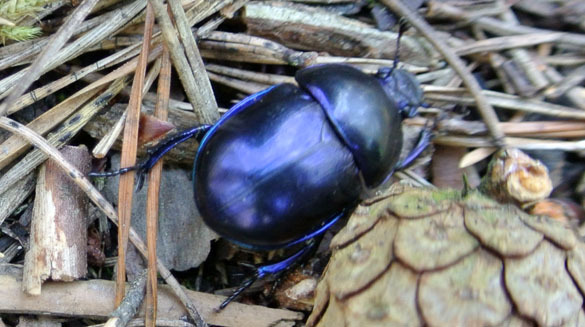 As a brief nature vignette, here is a dung beetle (Geotrupes stercorosus) we saw deep in the Estonian woods at our lunch spot. I’m sparing you the dung itself! How amazing is that? One of the best fossils of the trip. 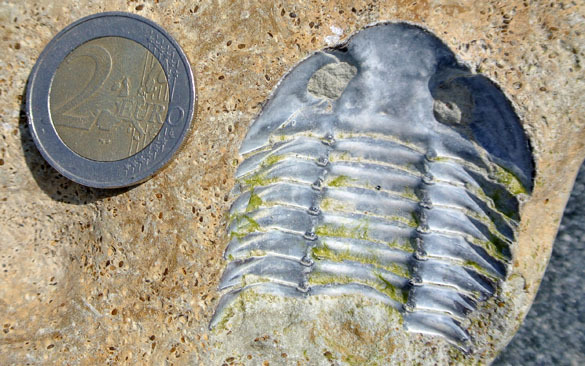 Sure this trilobite lacks important details like stratigraphy and original location, but the story of its finding makes it a treasure!